A Mexican supercar with the heart of a Ford Falcon is set to make its debut at the Goodwood Festival of Speed in England. The Vuhl 05 is an ultra-light track special powered by the four-cylinder engine used in the Ford Falcon EcoBoost. The tiny roadster weighs just 695 kilograms - roughly half the weight of a family hatchback - and has 212kW, more than double the power of a Volkswagen Golf. Ford’s EcoBoost engine has found homes in several cars ranging from the Jaguar XF luxury car to the Ford Focus ST hot hatch. Mexican formula one driver Esteban Gutierrez, who drives for the Sauber team, will take time out between F1 duties to give the car a run up the hill at Goodwood, England’s premier motoring event, running from July 12 to 14. 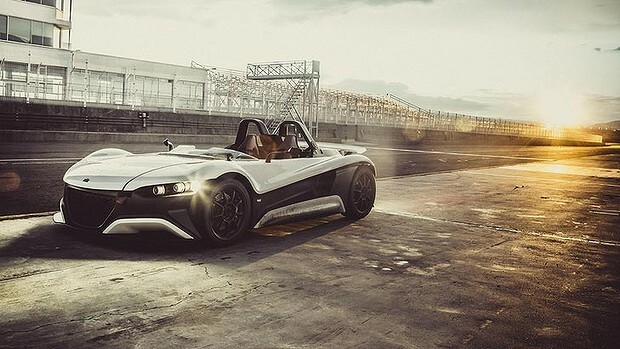 Vuhl, which rhymes with ‘cool’ and stands for Vehicles of Ultra High performance and Lightweight, plans to start deliveries of the car in 2014. The car could give Top Gear host Jeremy Clarkson an opportunity to atone with Mexican car enthusiasts after the British star offended millions by suggesting that the nation’s inhabitants were lazy. Waiting for Top Gear to review it. Mexicans will riot if they say something bad.